We come to you, anywhere. Most often the very next day! We will even fly you in if you live out of state. Call and talk to one of our professionals. ULTRA PROSTHETICS "Dedicated to the constant and never ending improvements of prosthetic excellence." For over twenty years, Ultra has been serving the prosthetic needs of residents all over the United States from its location in Carson City, Nevada area. Company founder and President, Daniel O. Haney, C.P., received his professional training in prosthetics at Northwestern University. He was certified in Prosthetics by the American Board for Certifications in Orthotics and Prosthetics (ABC). Dan Haney started his own practice in San Jose, California, specializing in the central fabrication of prosthetics. 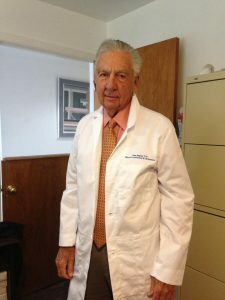 In 1990, he began uniquely providing prosthetic care to limb deficient people by examining them in their homes and/or hospital rooms, and accompanying them to medical care appointments. Patients are fitted in Ultra Prosthetics's facility. This practice continued and expanded to provide care throughout the United States after moving to Carson City, Nevada in 1993. Ultra's professional experience in prosthetics spans more than 40 years, from wood and leather to carbon fiber and titanium components. We have the experience to customize a limb to fit each patients' needs. We're here to help, so call us. Our founder is a proud Marine. We're here to help, even if you just want advice. Before we customize a prosthetic limb for you, we get to know your needs. We create a relationship with you and your doctor by going with you to your appointments prior to surgery.